We are engaged in the manufacture and trader of Vegetable Cutting Machine that comes with removable stainless steel blades. 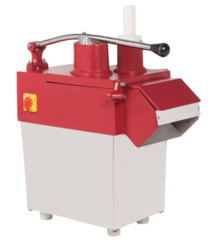 Known for its superior quality results, longer functional life, ease of use, low maintenance and ease of clean, these machines are widely demanded among our valued customers. Impeccably designed by some of our highly trained and experienced professionals, the offered Vegetable Cutting Machine is highly appreciated in the market. Manufactured in compliance with the industrial standards, using the best raw materials available, the quality of this product is never compromised. Used for the purpose of cutting several vegetables into even pieces, the performance this machine offers is unmatched. Looking for “Vegetable Cutting Machine”?